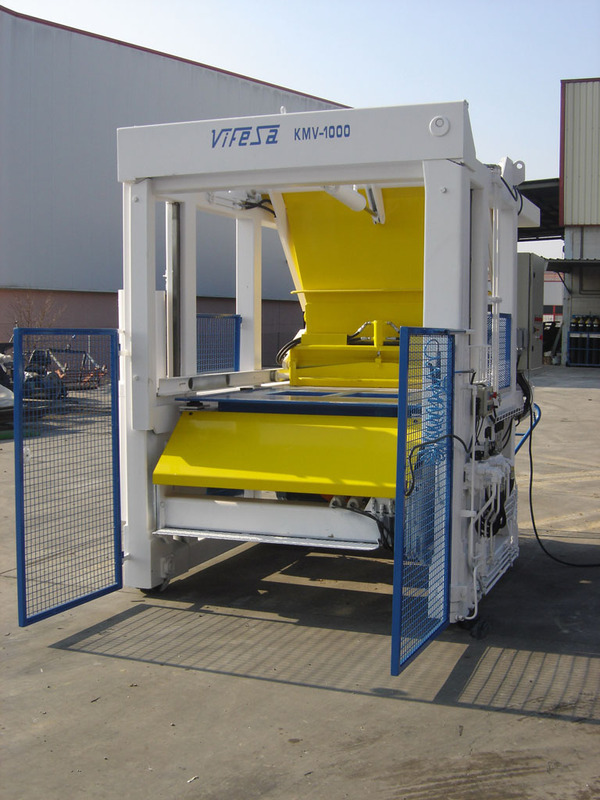 The machine KMV in its various models is a new philosophy in the production of concrete pieces. The production system (turning – laying system), proposes a number of advantages such as speed, versatility of concrete pieces and number of those pieces. The production of those pieces is based on filling the moulds placed on the table holding moulds which once full up of concrete, vibrated and compacted rises, turns and goes down for mould releasing. Every mould has got its own vibration, but in certain cases, some moulds share the same vibration according to the design of the mould. The production system according to the model of the machine will be semi automatic or fully automatic. For the handling only one operator is required. The working cycle is very fast, we can manufacture several pieces in one go and the working cycle is very short. The machine moves back and forth so we can produce concrete pieces in a continuous way outdoors or indoors buildings. Another great feature of that series of machines is the possibility to produce different shape pieces in the same working cycle. 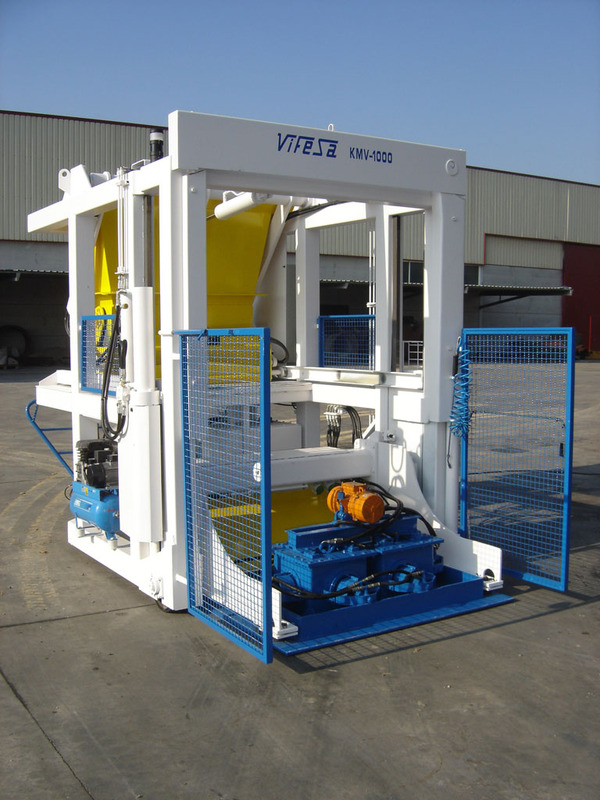 Moreover, this machine is designed and built according to the specifications submitted by the client. The machines are adapted to the needs of each client. Those machines can manufacture a very large range of concrete pieces. The ability to produce larger size pieces or higher number of pieces per working cycle is achieved with the series 2000-3000 and 6000, due to their larger design. The production of box culverts in continue fresh mould releasing is another possibility to increase the performance of any other machine. The newest model of that range is the MULTIPREN in different versions. This machine is a new concept of egg laying machines and it is specially designed for the production of manhole base units, manhole raisers, register cones and any kind of conical pieces shape. That machine has got the possibility to work as a egg laying machine and also stationery, we can also have a pit in view to work as a pipe machine. All the machines have got the option to have a tamper head to get pieces with male female ends and a perfect finishing. When the machine is stationery we move the pieces from the machine to the curing area with steel plates and a trolley for the transport.